Small poster/sign with picture of Bruce A. Niemi's "Remembered" statue against a blue sky reading, "NIU Remembers: A Day of Reflection." 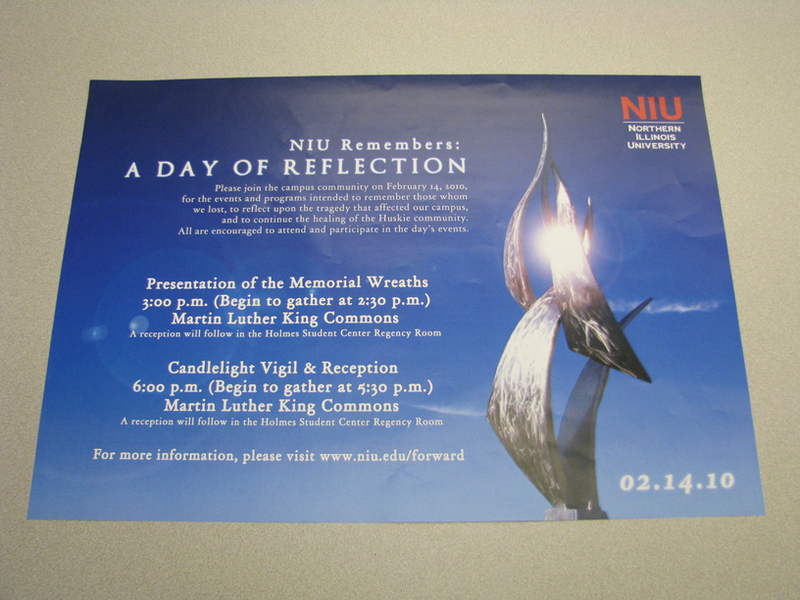 Poster also has times for the presentation of the memorial wreaths, candlelight vigil, and reception. Also reads, "02.14.10" at the bottom-right. Size: 14" tall by 20" wide.